Product prices and availability are accurate as of 2019-04-01 16:03:20 GMT and are subject to change. Any price and availability information displayed on http://www.amazon.com/ at the time of purchase will apply to the purchase of this product. Unpleasant fingers no more! 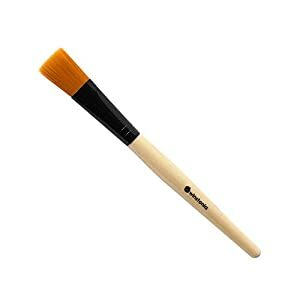 This Winstonia Facial Mask Brush is your perfect tool for even distribution of face mask, mud, serum, liquid or cream. Flat idea to guarantee an even application. Constantly clean and let dry totally after each usage. 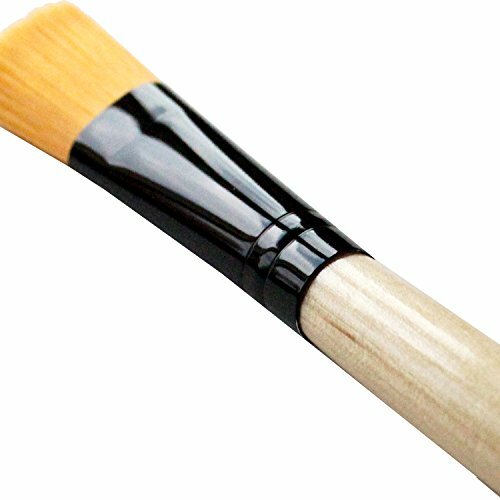 Bristle length: 1"; Black aluminium ferrule: 1.75"; Wooden manage length: 4.5"
EASY FACIAL APPLICATION: Messy fingers no more, use the brush to apply an even distribution of face mask, mud, serum, liquid or cream HYGIENE and CLEAN: Use this brush instead of finger which could cause bacteria growth in the mask NO MORE WASTE: Reduce unnecessary waste and prolong the mask life ECO-FRIENDLY: Sturdy wooden handle to cut down the usage of plastic. WINSTONIA (TM) is a registered trademark of Winstonia LLC and is exclusively distributed by Winstonia Store. Winstonia trademark is protected by Trademark Law.